Me and my partner are very happy with our stay! good service and great food! definitely worth the stay! highly recommended! i have stayed there with my wife and 1 year old son. it was a perfect stay. the villa is big and clean. the food is amazing and affordable. i recommend to have the bbq night. the staff is very friendly and helpful. Excellent food, Very friendly Staff- look forward to coming back! We love everything here, that's why we come back to Nau Villa. Staffs are friendly, and always welcoming. The villa is beautiful and we didn't want to leave. Breakfast is beyond average and they also offered floating breakfast. They made such an improvement since our last visit, offering complimentary coffee and tea with delicious Balinese desserts and daily activities such as, yoga, cyclings and Balinese dance. We definitely will be back again and again when we visit Bali. Great hospitality, service and communication. Breakfast was too good. Nothing more you can ask. Loved it. Private pool is amazing, you can swim in the pool steps away from your room. Breakfast is good, ala carte and delicious. Latte is well made. You can combine these two positive points: have your breakfast in the pool. But I did not try that so I cannot comment on it. The Villla, the staff, the view are exceptional. A perfect place for having a relaxed atmosphere. 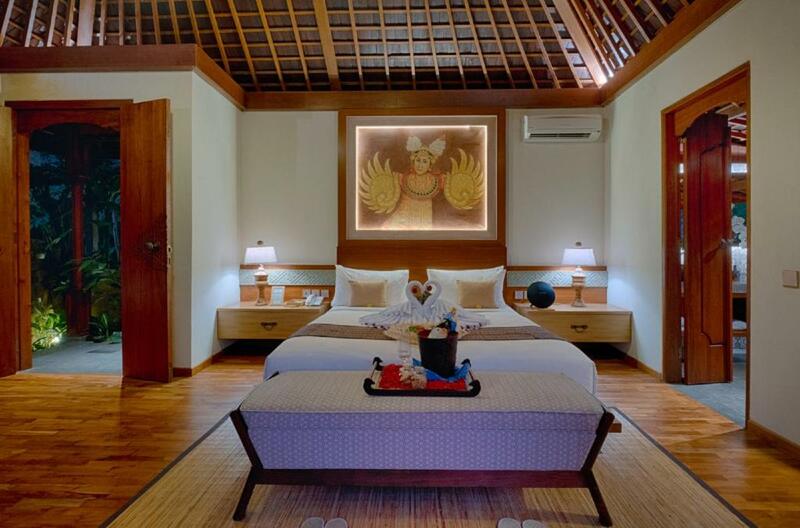 Lock in a great price for Nau Villa Ubud – rated 9.6 by recent guests! 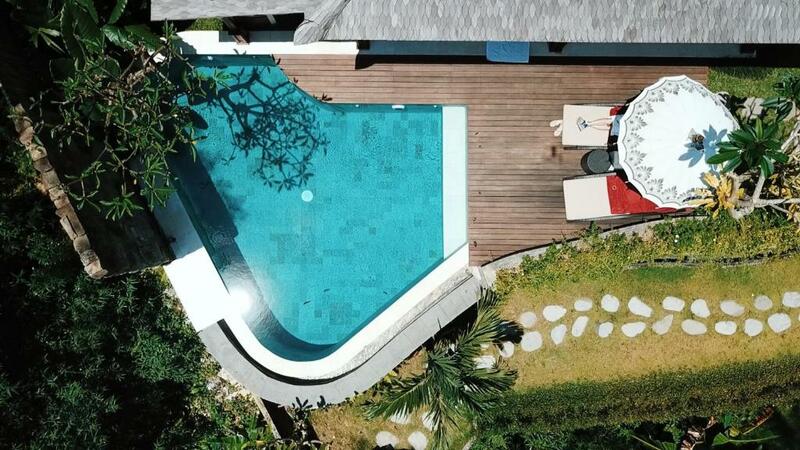 Nau Villa Ubud This rating is a reflection of how the property compares to the industry standard when it comes to price, facilities and services available. It's based on a self-evaluation by the property. Use this rating to help choose your stay! One of our top picks in Tegalalang – and a guest favorite. Fitted with a terrace, the units offer air conditioning and feature a flat-screen TV and a private bathroom with free toiletries. A balcony with pool views is offered in all units. The villa offers a continental or Full English/Irish breakfast. Guests can enjoy a meal at the on-site restaurant, which specializes in Asian cuisine and also offers vegetarian, halal and gluten-free options. 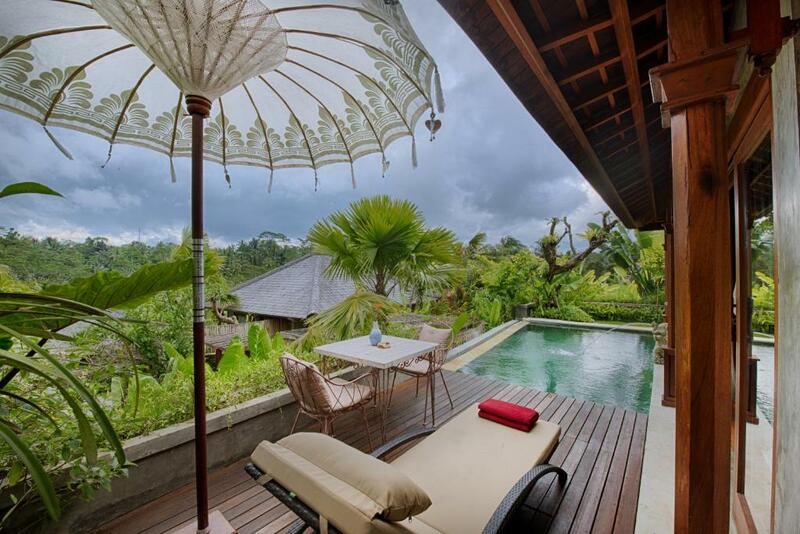 Nau Villa Ubud offers an outdoor pool. For guests' convenience, the accommodations has a business center. 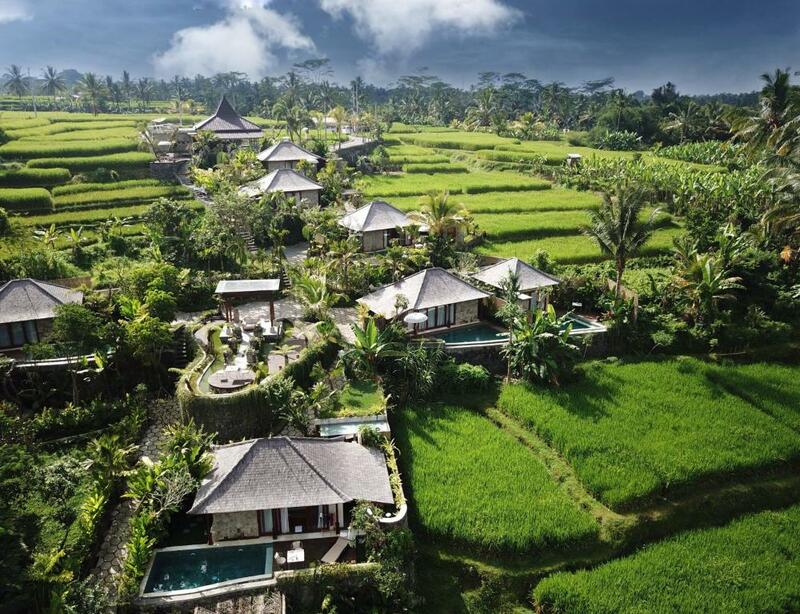 The nearest airport is Ngurah Rai International Airport, 34 mi from Nau Villa Ubud. 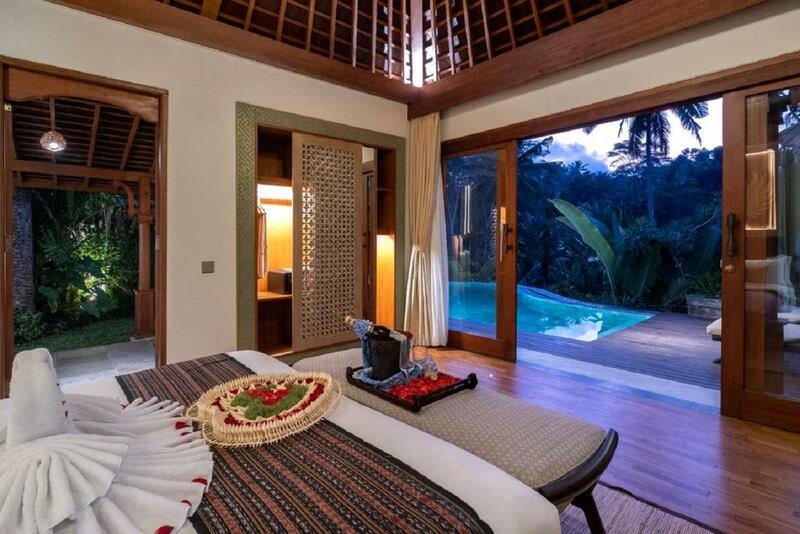 When would you like to stay at Nau Villa Ubud? This villa has a balcony, air conditioning and seating area. Guests staying minimum 1 week can enjoy a one-time Balinese 60-minute massage for 2 people. This villa has a balcony, sofa and iPod dock. Guests staying minimum 3 nights get Balinese massage. This villa features a balcony, hot tub and tile/marble floor. House Rules Nau Villa Ubud takes special requests – add in the next step! Nau Villa Ubud accepts these cards and reserves the right to temporarily hold an amount prior to arrival. The villas are a bit difficult to find as the map is outdated. Our pool unfortunately didnt have rice terrace views. Everything about Nau Villas is amazing! 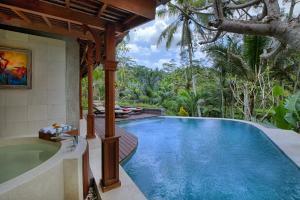 The villas are beautifully decorated with a private pool to enjoy your floating breakfast. We also had dinner twice at the villa and the food was great. We enjoyed our stay and will definitely come back! This is the best place in the world. Everything is awesome, the staff is very kind and helpful, the food is delicious, the apartements are comfortable and always clean, absolutely luxury. And last but not least the tours are very well, the drivers are kind and always helpful and polite. The location was off the track...to get to Ubud Centre is about 30 min journey provided the traffic is good. Worst still there isnt any convenience store nearby so my advise stock up tidbits n drinks if need be. Villa 6 didnt get a good view though. Just a garden/jungle like. I was expecting a rice padi field. The ambience and the facilities was amazing. Staff was the highlight as they go the extra miles to make your stay a memorable one. I actually plan out a special dinner with my wife and the staff constantly update me the progressions. The dinner cooked was superb too and value for money. Floating breakfast set up was prompt and staff were genuinely friendly to us. Always asked if there is anything they can do to keep our stay better. Where do I start there are not enough words to describe how amazing the staff are at villa nau. The rooms were perfect private comfortable relaxing . The food was incredible we are big foodies eating at Michelin star restaurants a lot and the food here was on par . Breakfast was the best we had in 6 weeks of traveling and eating with such an amazing view was perfection itself . We did have an incident with another guest playing very loud music very early in the morning and being abusive to me ( not the hotels fault just an extremely rude guest ) I was so upset the hotel changed our room and took us out for a sightseeing trip to take our minds of things . They packed out bags and moved our belongings whilst we were out and placed them in our new room in exactly the same place . They remembered our names every day all the staff they remembered how we liked our food cooked our drinks etc . They took us to our next hotel ( I chose two different locations for variety ) . The next day was my birthday and we had an issue at new hotel I messaged Wayha from Nau villa saying how good his staff were and saying I was disappointed with new hotel the next morning he bought a birthday card and a gift from all the staff I was very moved..on arriving home my husband had an operation I received video messages wishing him well from all the staff . Wayha is outstanding his information as a tour guide was fantastic his kindness And friendship is beyond the call of duty ..and he has the cutest baby ever .we will definitely be back this is what we are looking for on our travels peace rest friendly staff . We want to go back and do the village tour . We loved, the room, the location and the staff was super kind. The staff made the stay even more pleasant. I highly recommend this villa. The food at the villa was excellent. Excellent service provided by staffs. Food were very delicious. Pool views. Great private pool. Total privacy while in an outdoor bathroom setting. I love everything about this villa. They go above and beyond to accomodate our needs. Staff are very friendly. The place is gorgeous! 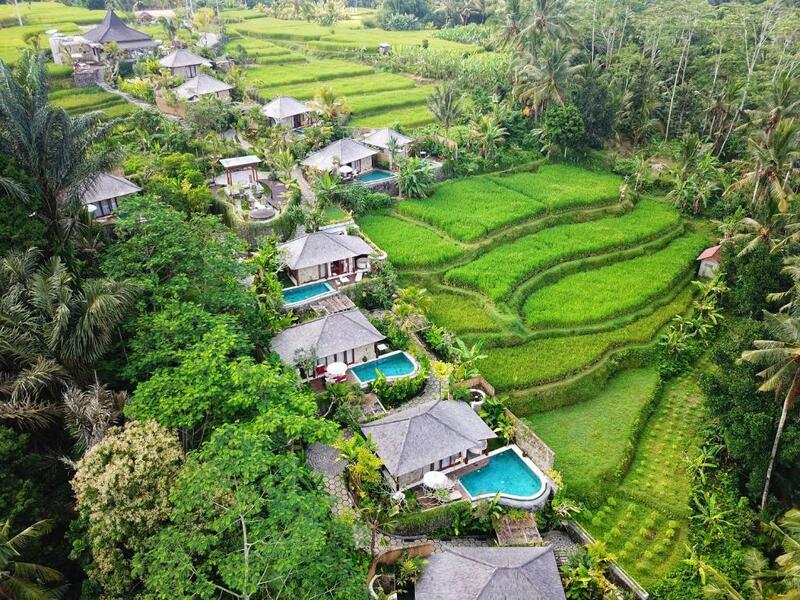 Nau Villas in Ubud exceeded al our expectations. From the looks of it online, it is already great, but arriving at the location and having your first breakfast on the terrace overlooking the rice fielda is just unimaginable up front! The best thing is that all staff truly go above and beyond to make your stay as comfortable and pleasant as possible. It might be that they have the happiest staff i have ever met at a hotel! You will always receive a smile when you pass them or a welcome greeting. Airport pickup and drop off were all neatly arranged, the cooking class with Yogi was an awesome insight into Balinese cooking and understanding their ingredients. I can go on for ages... Thank you all for making our stay unforgettable!